With wholehearted gratitude for his life, the family of Merv Mackey announces his peaceful passing on January 4th, 2019, surrounded by family, at the Swan Valley Health Centre. He was born on November 22nd, 1934 to the late Clarence and Evelyn Mackey in Tory Hill, Ontario. Mervin Clarence Mackey was a one of a kind guy and everywhere he went he made friends or added people he became close with to his ‘adopted’ or extended family. He grew up in Tory Hill and went to school there until he completed grade 2. Merv was able to live a great life despite only going to school until grade two because he was born in a time where your skills mattered more than completing an institutionalized education program. He was a smart man who stayed current with the world around him but maintained his humility which made him easy to love. 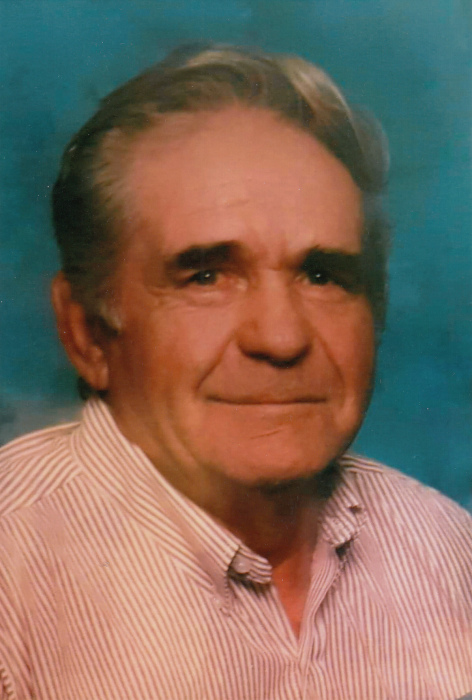 Throughout his life he worked in many fields such as fishing, fabricating metal, trucking (logs & gravel), and mining. Upon coming to Manitoba, he worked for Enco commercial fishing, as a licensed tour guide for camps and dabbled in mixed farming. His real passion and the job he loved most was in trapping. Trapping lead Merv to many places, one of them being into the Swan Valley. It was here that he met the love of his life and wife of 25 years, Carol. Merv showed Carol a perfect love and together they created a life that was rich with good times, family memories and a home that felt like paradise. For all those years that Carol and Merv had together – her family was his family and he loved them like his own. He lived gratefully for their presence in his life. Family meant everything to Merv and all throughout his life he would meet people, create friendships and then claim them as his own family. He carried many labels when it came to his relations to others; he was a husband, brother, uncle, step-dad, grandfather, great-grandfather and “Uncle” Merv to dozens of children who are now adults. On top of that – he was a self-proclaimed dad to quite a few friends and neighbours. Merv was the type of guy who never missed an opportunity for a good joke or laugh. He was determined to live life to the fullest and make every day count. He always saw the good in situations and especially in other people. He was also one of the toughest men to ever live, setting his own broken leg once and freezing his feet while amidst his work. He faced many hardships and what you would call “near death” experiences while on the trapline. It was forever something to giggle about that Merv needed all 9 lives to get up to the age he was. For Merv the meaning of life wasn’t about stature or acquiring goods. It was about living well and creating meaningful relationships and memories. It was about being good to everyone and respecting nature. It was about being the kind of human being that other people could count on and making sure that no matter who he greeted that he did so with love and respect for everyone. Merv will be dearly missed by his surviving family: loving wife Carol; step-children Brenda, Peter( Dana), Ron (Carissa), MaryAnn (Vern), Bonnie, Shelby (Howard) and Victoria (Paul); many grandchildren and great-grandchildren who he loved so much; brothers Mitchell (Dianne), Lawrence (Helen), Glen (Lucy); sisters, Barbara (Jack), Ginger, Billy, Loretta (Bert), Glenda and Melinda (Glen) as well as an abundance of friends he made along the way during his life. Merv was predeceased by: parents Clarence and Evelyn; step-son Joe, mother and father-in-law May & Norman; sisters Aliene, Marlene, June, Patricia and Jean.